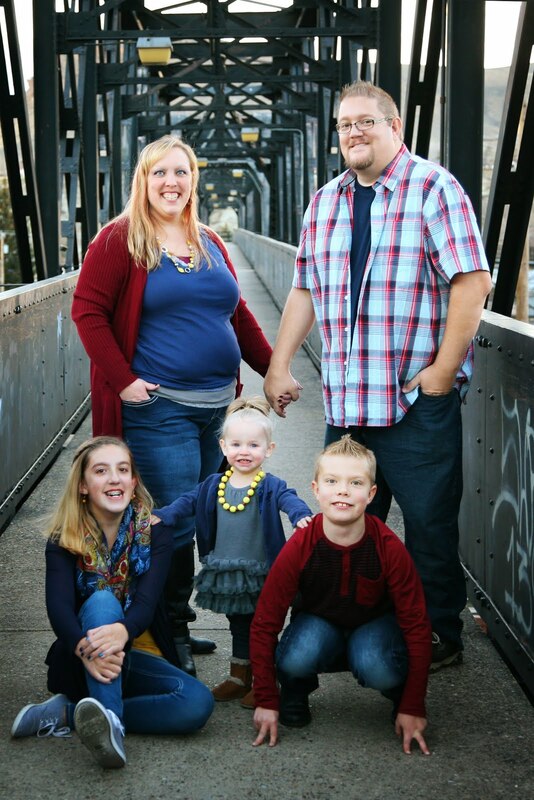 Recently, our close friends had a baby (Yay, Shannon & Jerrid!) and their theme for her room is cupcakes. . . so of course I had to contribute! I've made rag quilts before but this was my first foray into the world of applique. 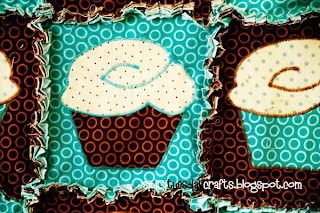 I drew out the cupcake onto cardstock (and erased it so many times I wore through the paper) then cut them out in pieces. I used my old-school Singer sewing machine (given to me by my husband's grandma soon after we were married -- and I LOVE IT!) 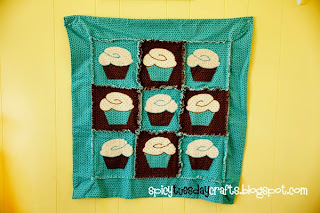 to "draw" on the frosting lines and affix the cupcake cups, then sewed the whole thing together. I wanted a more finished look to the edges so I put on the border pieces instead of just ragging the edges -- I've done both types of edging and like both about the same. Then into the dryer to begin the ragging. 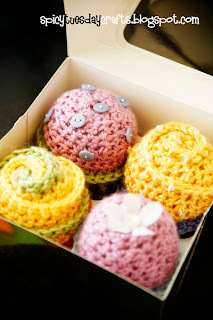 They also wanted a couple of crocheted cupcakes for her decor so I made 4 little cupcakes, each one topped differently. I think my fave is still the swirled frosting with sparkly sprinkles. 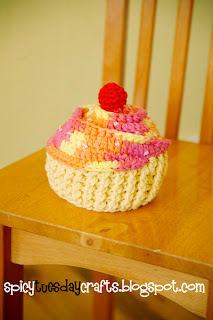 And because I think that every little girl deserves a cupcake on her birthday, I made her this little cupcake hat. I was planning to bring it to the hospital when we went to visit her but she decided to make her appearance a little early and we were out of town. My friend Valerie saved the day and brought it to her for me. I love that they love cupcakes as much as I do -- I had a complete blast making all this cupcake stuff. Mmmmm, cupcakes.......time for a bakery run. 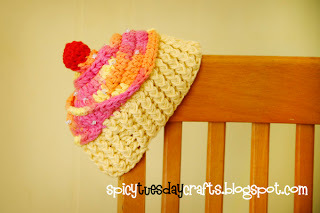 Oh my goodness, I am literally swooning over this hat!!! Is there anyway you could make me one (adult sized, of course! )?